The Compliance Advisor Ombudsman (CAO) is the independent accountability mechanism for the International Finance Corporation (IFC) and Multilateral Investment Guarantee Agency (MIGA), members of the World Bank Group. CAO addresses grievances from people impacted by IFC and MIGA projects with the goal of improving environmental and social outcomes on the ground. 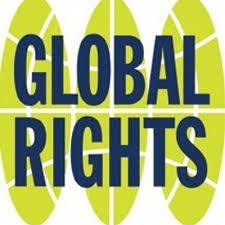 CAO recently launched an outreach initiative geared to CSOs in the Africa Region. The CAO has carried out numerous outreach events with CSOs in Latin America, Asia, Eastern Europe, and the Middle East in recent years and now is reaching out to Africa as well. Recently the CAO held video conferences with CSOs in Ghana (December 2017) and in Senegal (March 2018). In both cases CAO partnered with national CSOs in these countries to help it host the event. In Senegal they partnered with Aly of Lumière Synergie pour le Développement (LSD) and Moussa Gueye of Enda Lead Afrique Francophone to help them organize the VC. This VC was successful as it gathered over 20 representatives from leading Senegalese CSOs and the discussion about the CAO’s role and IFC’s portfolio was quite substantive. CAO has contacted ANEEJ to collaborate to organize a video conference with CSOs in Nigeria. The purpose is twofold. 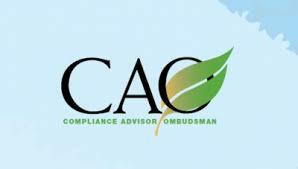 First, to disseminate information on the CAO’s accountability role and compliance/mediation work. Second, to hear CSO perspectives and concerns on IFC-financed projects in Nigeria specifically, and accountability issues more broadly. The intended audience are NGOs, community groups, trade unions, foundations, and other stakeholders who are potentially affected by IFC-financed projects or work on accountability issues in Nigeria. The VC would most likely hold at the IFC Country Office in Lagos and CAO would be responsible for contacting the IFC Country Office, setting up the video conference logistics, and preparing the meeting materials. Logistics for the Video Conference is already set and ready to take off…10, 9, 8, 7, 6, 5, 4…..